Quality is not just an abstract goal from TehnoWorld, it is a proven fact. 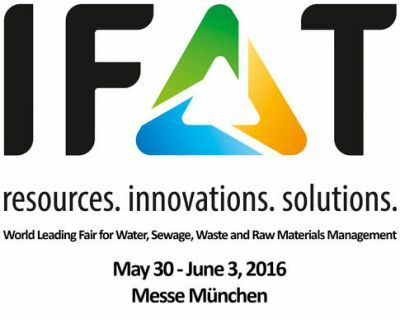 This fact is supported by standards implemented by the company. 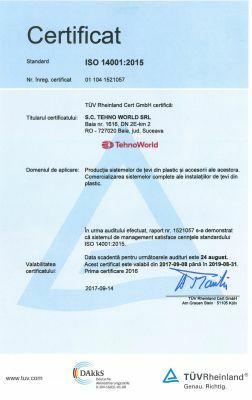 TehnoWorld quality is the result of precise implementation of ISO 9001:2008 quality management. 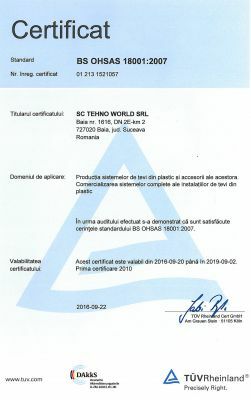 Because sustainability is one of the values TehnoWorld, we have implemented environmental management system according to ISO 14001:2004. 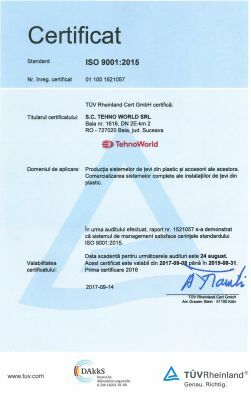 TehnoWorld has implemented the management of health and safety standard OHSAS 18001:2007 prescribed operational.